Hello and welcome to the final piece in my mini series with Get The Label! If you don't have the foggiest what I'm talking about right now, check out the first OOTD here, and the second OOTD here. Let me know which is your favourite! I love the feel of velvet ridiculous amounts. So soft. And with the silky shirt and studded bag, I was in texture heaven! 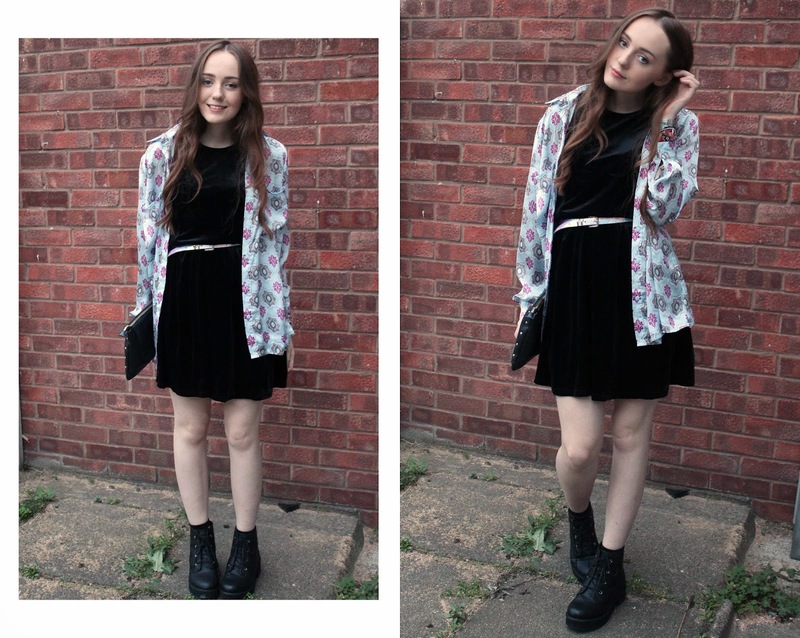 Velvet skater dresses have become a bit of a wardrobe staple really haven't they? They just go with everything and not too much effort is required, especially in Winter, throw one on with a pair of tights, boots and a jumper and you're all snuggly for the cold weather. Cute. I love all three outfits! I too love the feel of velvet. 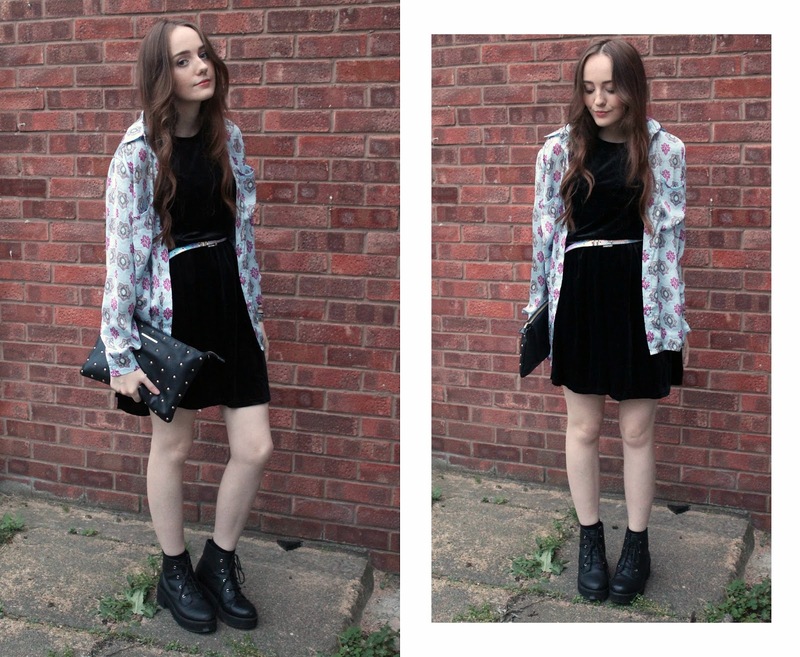 I love the print on your Missguided shirt and your velvety Get The Label dress. I also love your ribbed Asos jumper and Get The Label burgundy skater skirt in your first OOTD They look wonderful paired with each other. I love the white on burgundy floral mesh embroidered top and H+M skirt of your second OOTD as well. I think the burgundy Get The Label skater skirt is my favourite outfit piece from amongst the three outfits.